Hey, hey! I'm so excited about this post! Why? Let me tell you ... Have you ever heard about Yumi and Fumi Handmade? They have super cute stamps that you can find in their store and they also have a challenge blog. They are celebrating their first birthday! 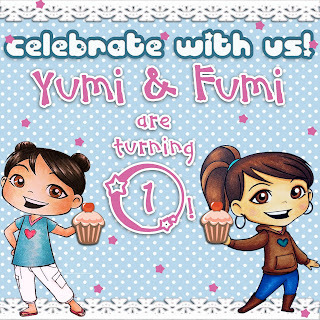 Happy birthday Yumi and Fumi Handmade! :D I love their challenges and their stamps so when I received an e-mail from sweet Leanne who asked me if I wanted to join the blog hop they are having to celebrate their 1st birthday it took me less than a millisecond to say yes. Everybody who is participating in the blog hop was asked to make something based on the inspiration photo we were given. I used the adorable Fumi with gift as my main image. I colored her with Faber Castell pencils and Promarkers. I paper pieced the gift Fumi is holding and covered it with glitter glue. On Fumi's buns I made some dots with Viva decor pearl pen. I used the same pearl pen on the butterflies. The design paper is from Folia. The square die is Marianne design die, the small swirl behing flowers is TH die and the ovals are Spellbinders dies. The butterlies are made with my craft punch. I embossed the oval behind Fumi with cottage floral embossing folder by Craft concepts. Flowers are from my stash and so are the orange ribbons. And the brownish ribbon is from Crafty ribbons. It's a beautiful card Cebelica, like a ray of sunshine on a summers day. Yay!! Soo glad it only took you a millisecond to say yes! hahaha!! It's so lovely to have you join in on our celebration with this beautiful card!! Love the layout and all the pretty flowers and you coloring Fumi up beautifully! Thanks again for being a part of our celebration and for always being so supportive! Die Farben sind genau richtig und wie schön koloriert, ist der Stempel. A wonderful card with gorgeous details, right down to the pretty pink butterflies! The Kimono series is my fav! The card that you made is beautiful. I really like the flowers and the butterflies. They add a perfect finishing touch to your card. Love the flowers and the bow. oOo...love how you used the inspirational image to bring out the earth elements and still pop the card! Beautiful! Awww, so sweet. You colored Fumi so well and the pretty flowers add that special touch. Love your card! It is beautiful! This is gorgeous! Love the bow and your coloring is stunning! What a gorgeous card! Wow! Beautiful card. 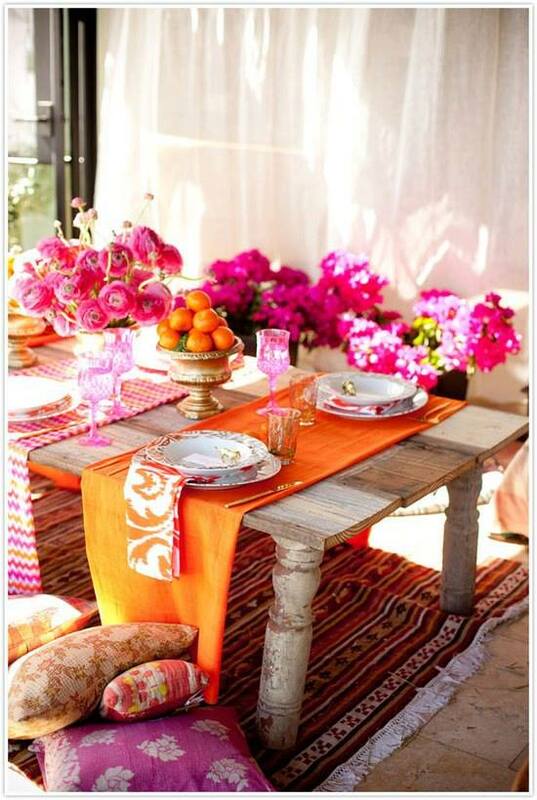 The colors and embellishments are wonderful. Beautiful, Cebelica! Love the rich colours and the depth of colour in your image is wonderful. This one came out fabulous. ..love the coloring and the layout.